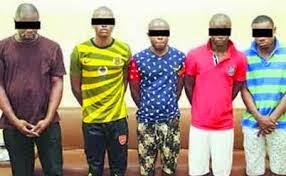 One of the seven Nigerian men accused of robbing a money exchange office in Abu Dhabi of Dh970,000 on Monday, May 8, claimed he carried out the robbery alone and urged the court to acquit the rest of the defendants. charges of robbery and forging official documents. Official court records stated that the gang members, aged between 30 and 35, carried out the robbery at the money exchange office in the Musaffah area in January. They used knives and iron tools to threaten the workers to hand them the cash. "The men had interrupted the money exchange staff during their official working hours, when they were in the process of transferring funds to special vehicles meant for the purpose," said prosecutors. The gang had been closely monitoring the money transferring activity at the exchange for a few days before the robbery and timed their arrival accordingly, according to police investigations. 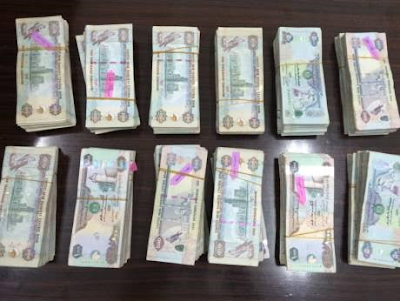 Officers said the men forced the employees of the exchange to hand over the money from the vans to them before fleeing in a car hired from another emirate with forged documents. In a previous hearing, all men denied the charges of robbery and forging official documents to rent cars used in the robbery. And in the latest hearing on Monday, one of the men - the fourth defendant in the case - retracted his earlier denial and told the court that he was guilty of the charges. "I am guilty of the charges. I'm solely responsible for the robbery and all these other men had no hand in it," he said in the court. He also told the judge that he had planned and carried out the robbery single-handedly and that the rest of the defendants were not responsible for anything. He also denied knowing the other Nigerian men and asked the court for their acquittal, claiming that they were innocent. Prosecutors said the Abu Dhabi Police had investigated the matter immediately after the robbery and arrested the men from Sharjah, where they were hiding. The police also recovered the stolen cash. The force had worked with the Dubai and Sharjah police departments in arresting the gang. And during the police interrogation, the accused admitted to the robbery, stressing that they also got rid of some phones and calling cards by throwing it away at the crime scene in order to distract and mislead the investigation process. 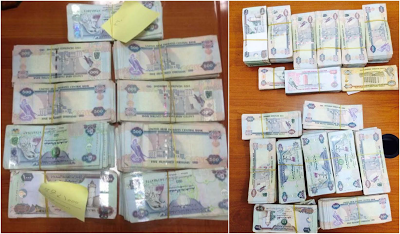 Officers said the gang had also changed vehicles to confuse the police, discarding the vehicle they used to make their getaway from the money exchange in another emirate, and then using another vehicle to reach Sharjah. The trial has been adjourned until May 17.